As unwanted calls continue to proliferate, many mobile phone users have simply stopped answering the phone. But new technology is on the horizon that could sharply cut the number of scam and spam calls we all receive daily. NBC Bay Area Consumer Investigator Chris Chmura reports. As unwanted calls continue to proliferate, many mobile phone users have simply stopped answering the phone. But new technology is on the horizon that could sharply cut the number of scam and spam calls we all receive daily. Fraudulent calls — frequently originating overseas — have spiked sharply since 2017. In a study published this month, tech analyst First Orion projected by next year, nearly half of all calls to mobile phones will be scam calls. Of those, First Orion researchers say more than 90 percent will use caller ID "spoofing" — displaying a fake call-back number — to trick potential targets. 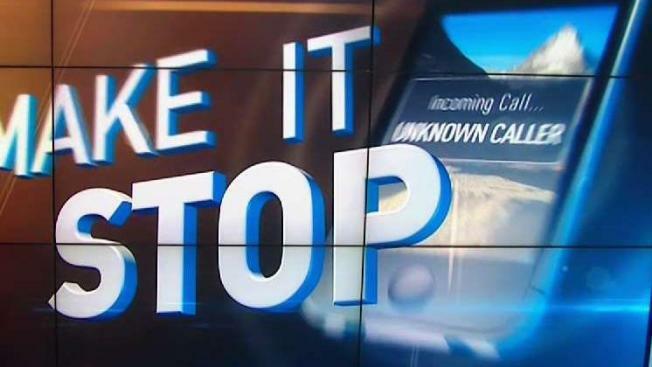 NBC Bay Area wanted to know, why is the problem of spam calls getting worse? How do fraudulent callers spoof caller ID? Why don't phone companies simply shut them down? And, what is the government doing to stop scammers? The answers we found are complicated, but there's also hope of a solution on the horizon. Most of the calls from scammers and fraudsters are made with auto-dialers, and are known as "robocalls." Irvine-based tech firm YouMail estimates 4.2 billion robocalls were placed nationwide last month, amounting to about 13 calls per phone user. Ethan Garr, Vice President of anti-spam calling firm TelTech, tells NBC Bay Area the numbers are staggering. "Over 3,000 calls are being made every second to Americans," Garr said. TelTech makes an app called RoboKiller. The company was awarded a $25,000 prize from the U.S. Federal Trade Commission for its spam call-fighting technology. Garr tells NBC Bay Area the surge in caller ID spoofing by spam callers has conditioned most of us to simply stop answering our phones. "I would guess 40 percent of the calls you get, you can trust the caller ID," He said. We asked Garr how scammers spoof caller ID. He said it's pretty easy. TelTech also makes SpoofCard, an app that lets any mobile phone user choose any number to show up on a call recipient's caller ID. Garr says it's pretty simple, because caller ID is a decades-old technology. "It was an add-on into the phone system," Garr said. "It wasn't something that was invented so people could manipulate it or change it. It was a way for people to see who was calling, but it got co-opted over time." Unfortunately, scammers were among those doing the co-opting of caller ID. For years, YouMail has tracked the rapid rise in computer-dialed phone calls. It offers apps to help phone users block them. CEO Alex Quilici says the reluctance of most people to stop answering unknown calls has only made scammers more determined. "They're clever, and they want to get through, so they're picking random numbers to call," Quilici said. "People are not answering the calls any more, if they can help it. They just assume, 'This is a number I've never seen before; I'm not going to pick up the phone.' So the bad guys try to call more and more numbers, to try to get through. It's a little bit of a death spiral for the phone network." So, why can't the U.S. government simply ban all robocalls? Eric Troutman, an attorney with Womble Bond Dickinson, tells us it's not that simple. "We need to have a better definition of what a 'robocall' is," Troutman said. "When I think about what a robocall is, I think a scam, pre-recorded call; generally, random-fired, and probably by some bad actor overseas someplace. You might think that a reminder call to go pick up your pills at the pharmacy is a robocall." Troutman represents clients such as banks that auto-dial fraud alerts, and pharmacies that use robocalls to inform patients of prescription refills. He welcomes tougher federal laws for scammers, but not a robocall ban. "What is it that we're actually trying to prevent?" Troutman said. "Is it that we're trying to prevent American businesses from contacting their customers with account-specific information that their customer needs? I don't think so." Troutman, who also writes for and edits telecom law website TCPAland.com, is a critic of the Telecommunications Consumer Protection Act, or TCPA. He says the 1991 law — written long before widespread mobile phone and internet use — is badly in need of replacement. "Congress needs to focus on scammers," Troutman said. "When we've got a lot of noise out there, trying to shift the focus from bad actors to legitimate American businesses, you're going to get a lot of push-back when it comes time to draft that statute." The other major challenge to blocking scam calls is the aging, sprawling national telephone system. Alex Quilici with YouMail told us that makes any effort to stop spam callers a daunting task. "There are 3,000 [phone] carriers in the U.S.," Quilici said. "There are multiple billions of phone calls every day. To roll out something like that is a pretty massive undertaking." The good news is the major players in telecommunications are trying. Right now, a consortium of technology engineers, phone service providers, and the U.S. Federal Communications Commission are developing a sweeping update to caller ID. Known by the acronyms STIR and SHAKEN, the caller ID authentication standards will make it much more difficult for spam calls to get through. Here's how it might work: calls from someone using a verified phone line, approved by a certification authority, could show up on your phone screen with something like a green checkmark. That way, you'll know the caller ID can be trusted. Conversely, calls that come in through scammers' preferred routes, such as unverified overseas phone services, will be flagged. You might see a red "X" or a "caller not verified" message with their caller ID. Or, your mobile carrier might be able to block all such calls before they get to your phone. The new caller ID authentication standards could be rolling out to our phones as early as next year. While the measures should reduce the number of unwanted calls we get, it won't stop them altogether. Ethan Garr with TelTech says we can count on scammers' persistence and greed. "They hate us," Garr said. "They don't care about us. They don't think of us as humans. They want to get to us. They want to steal from us."